Over the course of his seemingly irreproachable life, Magnus Pym has been all things to all people: a devoted family man, a trusted colleague, a loyal friend - and the perfect spy. But in the wake of his estranged father's death, Magnus vanishes, and the British Secret Service is up in arms. Is it grief, or is the reason for his disappearance more sinister? And who is the mysterious man with the sad moustache who also seems to be looking for Magnus? What did you love best about A Perfect Spy? This story rewards multiple listenings because it is so intricate. I really came to know each of the main characters and to understand some of their motivations at different points in their lives. The book also helped me to understand Le Carré's ambivalence about nations, political systems, spying, and human failings in general. It left me thinking about people and their motivations, and I have gone back to listen to it again and again. 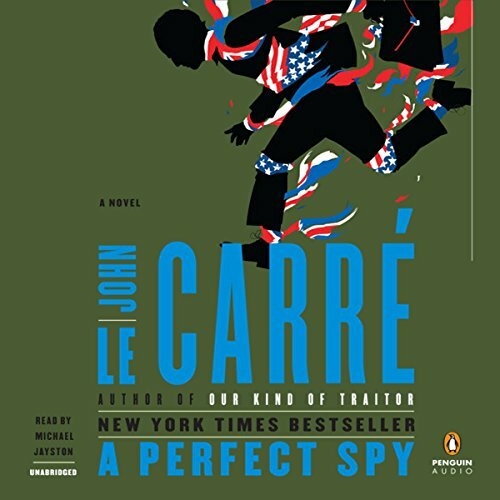 What other book might you compare A Perfect Spy to and why? This is a better story than Le Carré's The Spy Who Came in from the Cold as an exploration of what it can take to live a double life as a spy, a common theme in his books. It is still hard to beat Tinker, Tailor, Soldier, Spy so I rate them about equally. A Perfect Spy is especially fascinating because it is informed by Le Carré's own upbringing. Overall, it explains a lot about his life, which helped me to better understand some of Le Carré's other books. What about Michael Jayston’s performance did you like? Michael Jayston's great voice captures these characters and keeps the story moving. 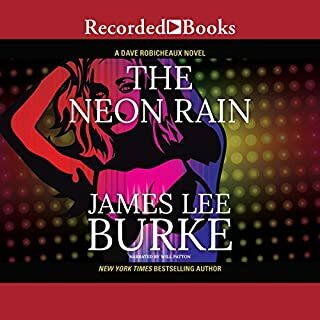 I recommend listening to it in short segments and then listening to the book at least a second time to pick up all of the nuances, many of which I missed when I read the book on paper. 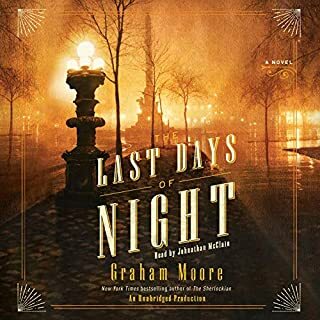 I loved this book when it came out in print 30 years ago, and I listened to an earlier unabridged audio recording narrated by Frederick Davidson (also excellent). But this is a definitive reading of a book that people will be enjoying for many years to come. This is a fantastic novel - arguably Le Carre's best. But, it is quite challenging as a audiobook. 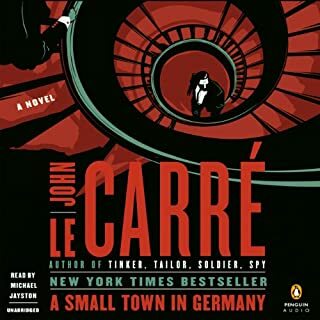 Le Carre's writing is complex and intricate, which makes it difficult in an audiobook format. Add to that the fact that this novel has a very complex timeline - most of the book is flashbacks and vignettes into the protagonist's life, from childhood to present. Sometime, even the flashbacks jump around on a timeline. 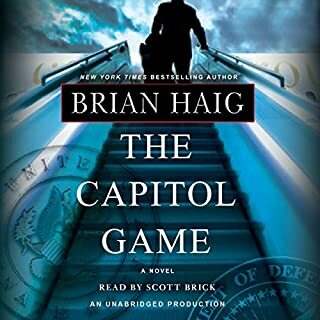 So, highly recommended, but be prepared to be challenged if you elect to read it in an audiobook. In some of le Carré's novels you feel haunted by the ghosts of Conrad, Greene, Nabokov, etc. In 'The Perfect Spy', I went back and forth about whether le Carré was building this novel to be Dickensian spy novel or a Proustian spy novel. I still haven't quite figured it out. All I know is that it worked; it was brilliant. It was beset by elements of Proust, Dickens, le Carré's own father, and le Carré himself. In a story about multiple fathers, why can't it be both an ode to Dickens and Proust? 'A Perfect Spy' is a novel about deception (but what spy novel isn't about deception? ), memory, love and loyalty. It is a story about the sins of fathers and the absolutions of sons. It is about a character who is on the run without ever leaving a room; a room filled with hidden cabinets, burn boxes, and years and years of secrets and conflict; a room that holds a perfect spy who is running from his past, running from his present, and running from his future. I've said this before, but I don't ever get tired of preaching it: le Carré is a novelist that WILL be read in 100 years and perhaps in 500 years because he is absolutely tapped into the global zeitgeist of the modern man and the modern nation-state. Le Carré has his finger on the pulse of what we NEED to believe, what we YEARN to believe. He has a story to tell and a map of our often hidden realities. Le Carré's has baked a madeleine that we eventually all must choke on, because we all eventually get to that point where we refuse to swallow anymore sh!t. 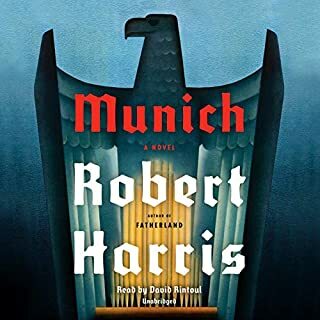 A great, intricate, psychologically sophisticated story beautifully performed., The reader nailed the various European accents and English class accents. The story is very artfully told and structured. This may be LeCarre's finest novel. Initially, it may strike listeners as a bit confusing, because of the shifting time sequences and the two different narrators, but the apparent confusion is sorted pretty quickly. Both writing and performance are brilliant. That the performance is 17 hours long is a wonderful bonus. I had difficulty getting through and have not finished it yet. 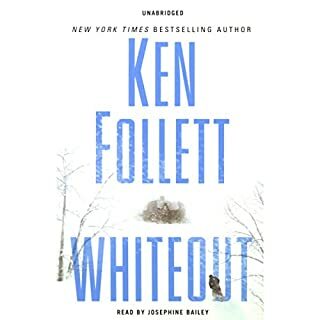 I listen to audiobooks while driving, so I need stories that keep my attention - humor, drama, thrillers - but this was too slow for me. I've enjoyed all the other le Carre books I've read (just 4 from the Smiley series) so I expected more of the same. Perhaps I should have read the description and reviews better, because a lengthy and detailed account of a man's childhood did not interest me. I'll probably try it again in the future. This book was tough, the first 5 chapters were hard to get through. Even after that it was still a tough listen. The main characters history of bouncing around from his various lives were more of a diatribe than a story line. And the ending was very anticlimactic, which was disappointing because with all the steps leading up to it, I thought it would finish out solid and it ended flat. As convoluted as ever, this story has a weak ending, and little payoff. There was several mentions of an incident in Lesbos that I don't think was ever explained. A lot was made of the chest, and nothing came of that either. I found the fastbacks via a narrative the main character was writing to be confusing. It would have been better to have just had a flash back, I think. Anyway, I soon tried of the main character's father. The Father was a rather unbelievable character really. The story ends abruptly, actually. It's like Le Carre was done telling the story and just put an end to it. The narrator did an excellent job, although hearing him say zed in an American accent was amusing.